The Tower, a sweeping, monumental look at the decline of Communist East Germany in the 1980s as seen through the eyes of one privileged suburban family, makes its North American home entertainment debut from Music Box Films Home Entertainment as a two-part television miniseries. 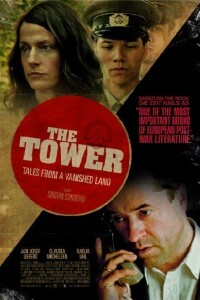 Directed by Christian and based on Uwe acclaimed novel The Tower: Tales from a Vanished Land, which won the 2008 German Book Prize and was heralded by the German national weekly newspaper Die Zeit as “one of the most important books of European post-War literature,” The Tower casts its gaze on the Hoffman family of suburban Dresden. But even for the cultivated few living in the villas of Dresden’s noble suburbs, the growing cracks in their repressive police state’s façade begin to take their toll in 1982.